There are plenty of choices in today’s high-end street glove market. Some are worth the cost. Some aren’t. 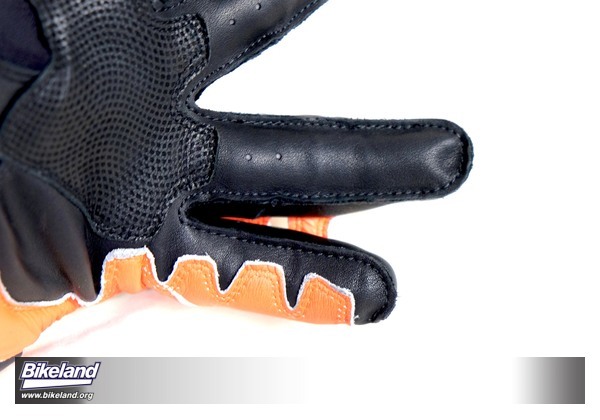 Glove decisions are often based on style, feel and price. That’s not ideal considering our most vital moto sensors and controls (fingers) are at stake. Protecting nature’s most evolved biomechanical creations is a tough job. 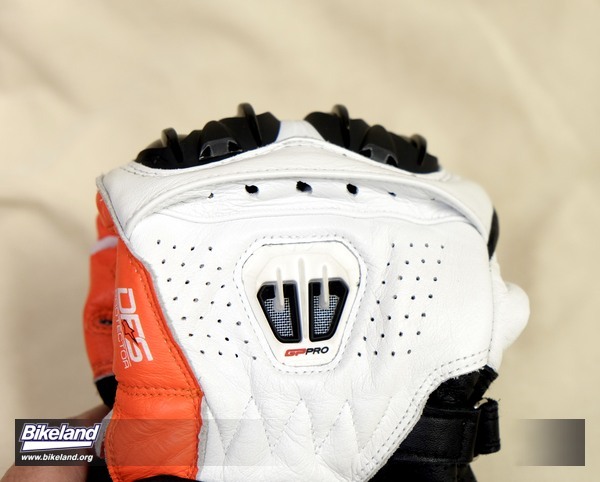 If your preferred protection is backless, fingerless or laced you can stop reading here. Bikeland suggests saving those finger fashion statements for the gym… and driving your truck to get there. 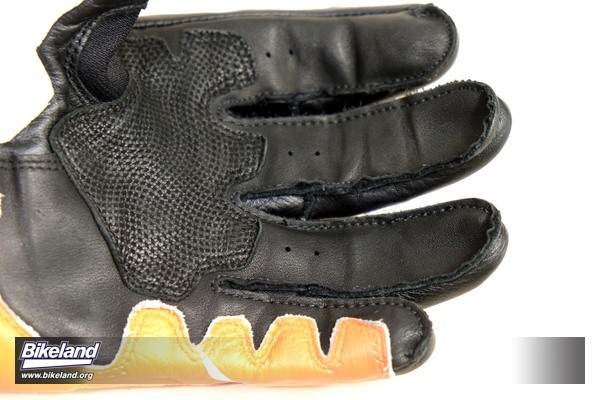 Seeing riders with cheap gloves gives us the willies. Sure, we hear the excuses: “It’s hot”. They look good”. “I’m only town riding”. Lightweight gloves are better than nothing-- but not much. Element protection is important but impact and abrasion resistance are what really counts when more than rubber meets the road. 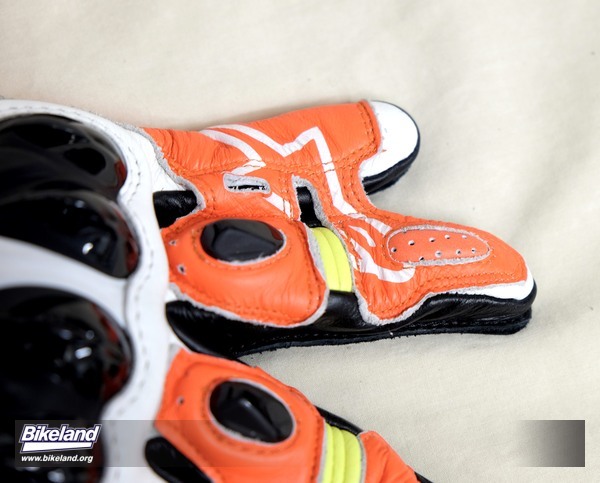 Alpinestar’s high priority on protection and feel is where the CE certified GP Pros really shine. Even on slow speed low slides, pinkies can easily become trapped between handlebars and pavement. It will be painful at best, disfiguring at worst. A-Star’s patented finger 3 to 4 “bridge” helps prevent finger roll and keeps end digits intact. A Dynamic Friction Shield (DFS) knuckle protection system features molded, dual density TPU and strategic use of aramid fibers, AKA Kevlar, to help mitigate impacts. Palms reflexively take the brunt of high-speed get offs as the scenery grinds to a halt. 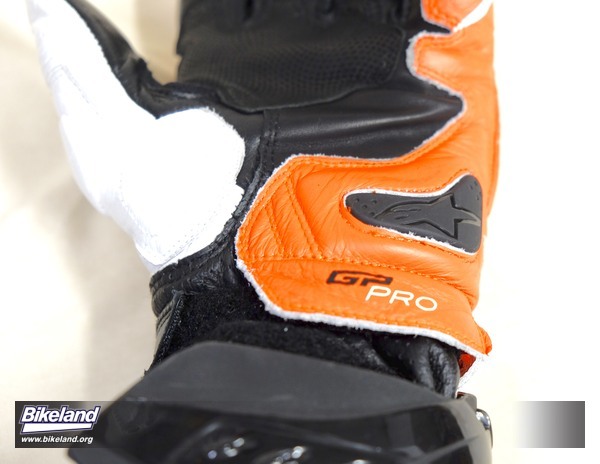 The GP Pro’s palm uses reinforced kangaroo leather to maximize protection and stretch material for better feel. Full grain cowhide and goat leathers are used elsewhere. Engineered leather reinforcements are included on outer “landing zones” for additional abrasion resistance at key impact points. Moving upwards, the well-shaped gauntlets use grippy Velcro closures, a cinch strap and TPU injected cuff panels to protect wrists and keep sleeves from sliding up. Pre-curved fingers, molded knuckles and palm stretch material works well together. GP Pros are stiff when new although they break in progressively. 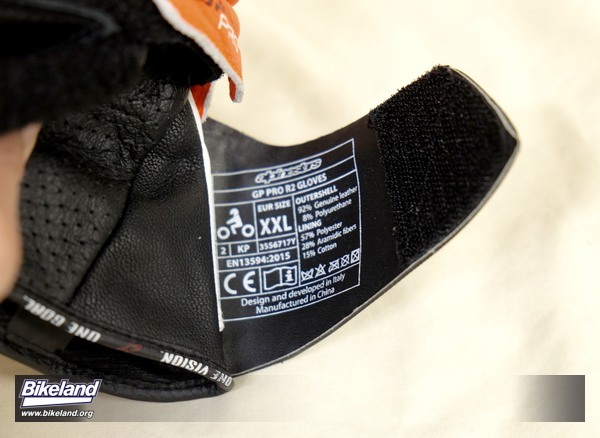 We happily did not test abrasion or impact resistance ahem… first hand, but quality construction is evident and typical Alpinestar. The variety of multi-layered natural and synthetic materials are well assembled. Three species of supple, perforated leather give excellent tactile sensitivity which increases with break in. Fingers and palms are externally seamed for better fit and feel. Ventilation is good given the race level protection but even with perforated backs and the plethora of ports they do get warm in high, humid temps. 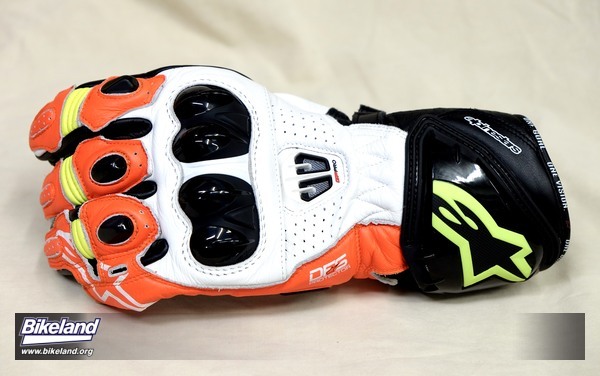 Sizing: Alpinestars run small. Our typical size Large in other brands required a 2XL GP Pro. Don’t buy these or other gloves without a try on. As with helmets it’s best to visit and purchase from a dealer. 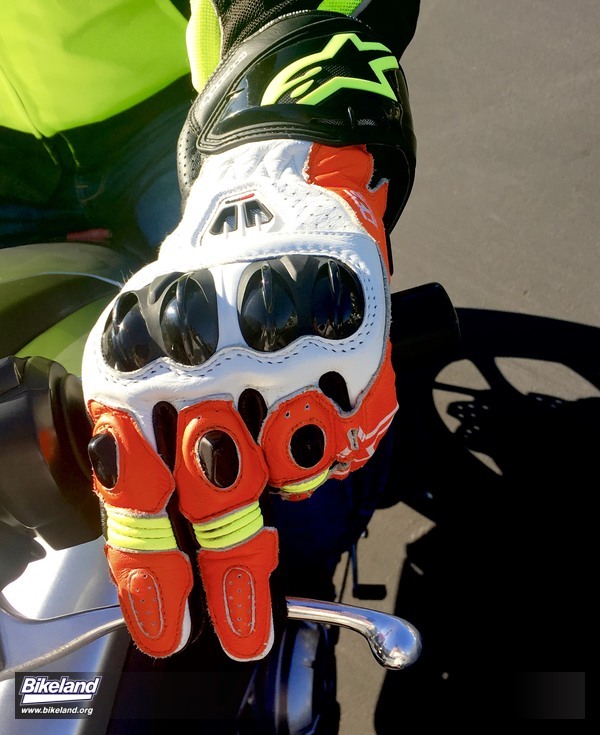 Track-grade gloves on the street may seem extravagant but the GP Pro’s price point offers a good blend of features and value without the $400 price tags associated with ultimate race gloves like Alpinestar Supertechs and others.